The world of natural products chemistry can sometime be complex. We are committed to guiding our customers. We have a continuously growing database resting on over fifteen years of data collection, we can efficiently and rapidly determine the chemical composition of volatile mixtures containing natural and synthetic. We use GC-FID and GC-MS methods to analyse volatile compounds. 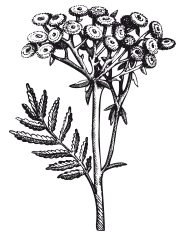 PhytoChemia offers analysis for medicinal cannabis and industrial hemp. We also offer scientific consulting and analytical services for producers (MMPR), dispensaries and patient under the MMAR. 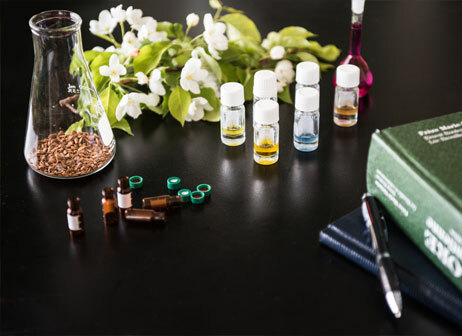 In Natural Health Product analysis, PhytoChemia apply validated analytical protocols inspired from literature or regulations, such as USP, European Pharmacopoeia or any other Heath Canada approved monography compendium when requesting a NPN. We are also capable of developing custom analytical methods for your innovative products, when no satisfying option exists. PhytoChemia can help you even before a product is marketed. We are able to help you optimize your extraction and production methods, choose your raw material suppliers and maximise the effects of your products. Lactic, malic, ascorbic, citric, tartric, shikimic, fumaric, oxalic, cafeic, ferulic, benzoic, salicylic, sorbic acids and more. The 2003/15/CE directive of the European Parliament defined specific labeling requirements for cosmetics sold in Europe. Twenty-six allergen substances must be analysed and labeled if their content is higher than a given threshold in a product.